~ NBA Chicago Bulls baseball cap NEW ~. Features: Embroidered Bulls logo. Condition Notes. ITEM: New Era Strapback. Item Pictures: The majority of the pictures are taken by ourselves. You can always Google style code for more pictures to get a better idea. No exception. It cannot be put back on if cut. NEED SIZE INFORMATION: Check out theSize Guide from New Era. NBA HWC GRAPHITE HEATHER. CHICAGO BULLS. Color: Heather Graphite/Cardinal Red. High Crown. Raised Embroidery Letter on Front Middle. Made of 80% Acrylic, Woven, 20% Wool, Woven. Structured Fit. I may just accept it ! CHICAGO BULLS. BLACK BUCKET WITH RED WHITE TRIM. SIZE - Large. 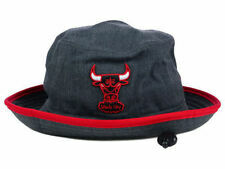 Chicago Bulls New Era 9FORTY Strapback Hat. New Era 9FORTY The League Strapback. Raised embroidered Chicago Bulls logo on front. Embroidered New Era logo on wearers left side. Adjustable Plastic Snapback Strap. Made by New Era. HAT SIZING. NONE OF THAT BOOTLEG OR FAKE NONSENSE HERE! Structured Fit, Flat Bill. Most issues can be resolved . COLOR: BLACK WITH TROPIC PRINTED BILL. SIZE - ORIGINAL FIT SNAPBACK. 100% POLYESTER. STRUCTURED FIT. ITEM: New Era Snapback. Item Pictures: The majority of the pictures are taken by ourselves. You can always Google style code for more pictures to get a better idea. No exception. It cannot be put back on if cut. New in the bag with all stickers and never tried on. Sold out everywhere. Amazing stitching and detail. Adjustable Snapback Closure. Made by New Era. NONE OF THAT BOOTLEG OR FAKE NONSENSE HERE! HAT SIZING. Raised Embroidered Team Logo in Unique Back Half Style. Flat Bill, Structured Fit. Most issues can be resolved . ~ NBA Chicago Bulls baseball cap NEW ~. Features: Embroidered Bulls logo, Official NBA hologram sticker. Condition Notes. New Era Speckle Sheen Chicago Bulls Snapback Hat. High Crown. Structured fit. Sublimated design on bill. One size fits most. Wipe clean with damp cloth. Six panel construction with embroidered eyelets. Was on display in case only. Will receive as pictured. Adjustable Snapback Closure. Made by New Era. HAT SIZING. NONE OF THAT BOOTLEG OR FAKE NONSENSE HERE! Most issues can be resolved . Great for any Bulls fan. NEW New Era 59Fifty Cap Hat Chicago Bulls Windy City NBA Fitted Size 7 5/8. Condition is Pre-owned. Shipped with USPS First Class Package. *New Excellent. *BUY 3 or more items and Priority shipping is free for all USA buyers! *If you have additional questions please ask I typically answer in a timely manner. HASSLE FREE RETURNS! Don't miss out on this great item from a flawless seller! Get your item fast! We ship the next day! Thank you for your interest in our listing and HAPPY EBAYING! NBA HWC GRAPHITE HEATHER. CHICAGO BULLS. Color: Heather Graphite/Black. High Crown. Raised Embroidery Letter on Front Middle. Adjustable Plastic Snapback Closure. Made by New Era. NONE OF THAT BOOTLEG OR FAKE NONSENSE HERE! Black, Deep Purple, Gray Undervisor. HAT SIZING. Structured Fit, Flat Bill. Most issues can be resolved . Mitchell & Ness Logo on Back. Let's Go Bulls! ~ NBA Chicago Bulls baseball cap NEW ~. Features: Embroidered Bulls logo, NBA Hologram sticker, Size 7.5. New Era / Hardwood Classics, non-adjustable and very clean. Condition Notes. Very rare and unique logo. Authentic New Era item. We answer all inquiries and usually respond within 30 minutes. Chicago Bulls Mitchell & Ness NBA USA Dad Hat Cap Adjustable Strapback Red. Condition is New. Shipped with USPS First Class Package. Adjustable Snapback Closure. Made by New Era. HAT SIZING. NONE OF THAT BOOTLEG OR FAKE NONSENSE HERE! Flat Bill, Structured Fit. Fitted Size. Flex-Fit Size. Most issues can be resolved . 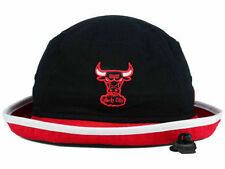 Chicago Bulls New Era 9FORTY Strapback Hat. New Era 9FORTY The League Strapback. Raised Embroidered Chicago Bulls Logo On Front. Embroidered New Era Logo On Wearer's Left Side. Adjustable Snapback Closure. -Made by New Era. This is the most efficient way you will get your item. CHICAGO BULLS NEW ERA 9FIFTY ORIGINA L. Chicago Bulls New Era Snapback Hat. Adjustable GOLD plastic snapback closure provides a customizable fit. CLOSURE: SNAPBACK. by NEW ERA.